Hello Friends,Windows provide a battery information tool, but it dispalys only limited information like charge/discharge level and approximate time remaining .Information provided by windows tool is not sufficient if want to get more out of your laptop’s battery .Here are some best softwares which can help you to optimize the usage and performance oflaptop‘s battery . 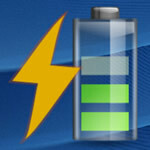 As the name suggests BatteryBar is a simple battery meter that monitors the status of your battery and displays your battery’s status in the taskbar.It keeps historical data on your battery and provide you with a very accurate estimate of how much time is remaining on your battery.Its prediction are more accurate than Windows default battery bar . BatteryCare optimize the usage and performance of laptop’s battery .Its advanced algorithm accurately records when a complete discharge cycle is performed.When the configured number of discharge cycles is reached, a notification balloon pops up to remind that a full discharge is require. It also shows all the detailed information about the battery, such as wear level, capacities, consumption, manufacturer, etc.BatteryCare constantly monitors your CPU and hard drive temperature as well , so you can know when your laptop need rest. BatteryInfoView displays the current status and detailed information about the battery. With the help of this tool one can have a quick look at things like battery name, manufacture name, serial number, manufacture date, power state (charging/discharging), current battery capacity, full charged capacity, voltage, charge/discharge rate, and much more.